Located in west Springfield, this community offers the features and amenities of an upscale neighborhood at entry level home prices. Recreational amenities include a swimming pool, bathhouse, wading pool, spa, tennis courts, basketball court and a playset with swings. Bent Tree is located 1/4 mile West of Farm Road 115 on Farm Road 140, just outside of Springfield, MO. Located in west Springfield, this community is surrounded by both new and established neighborhoods, and conveniently located near shopping and makes travel time to downtown or Missouri State University a breeze using Chestnut Expressway. From West Bypass (U.S. 160/MO 13), go west on Mt. Vernon St., north on Westgate. Located in northeastern Ozark, this subdivision offers the very best combination of country living, but very close to shopping and schools. 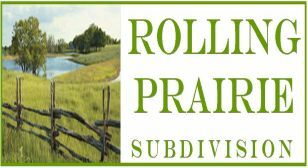 Situated very near Ozark’s newest elementary school, and next to open fields, Rolling Prairie is just minutes away from grocery stores, dining, golfing, and U.S. 65, taking you right into Springfield or south to Branson. From U.S. 65, go west on CC, then south on Fremont Rd. Located in northern Springfield, this subdivision also offers country living close to all the amenities of the city. 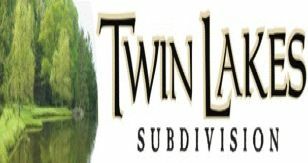 With a view of ponds and the rolling hillside of the Ozarks, sounds of crickets and the songs of birds, Twin Lakes is located minutes away from shopping, Dickerson Park Zoo, and the Missouri E-Plex. From the intersection of Kansas Expressway/MO 13 and I-44, go north to and turn left on Norton Rd. Take an immediate right on Morris Ave which will turn into Old Bolivar Rd. Continue north to subdivision.